Linen is provided and is required and includes sheets, towels, bath mat and face washers. The kitchen is all electric and has a double oven, microwave and fully equipped kitchen. The bathroom has a shub with a separate toilet. The wood fire and sun drenched conservatory keep the home warm and cosy. For the fishing enthusiast there is the lake or it is just a short drive south to pristine rivers where you can try your luck. If this bach is booked for the dates you would like, try our other cottage which is also in Kingston on the lakefront called "Lakeview". Extras: Linen, Includes sheets, towels, bath mat and face washers (Required, NZ$15.00 per person); NOTE: Under Kiwi bach tradition you are expected to: Clean the house and do the dishes before you leave. 20 minute drive to The Remarkables ski fields. Stunning lake and mountain views. Handy to lake front & park across the road, short walk to golf club. good parking house very clean, tidy and warm. Loved this house and hope to return some day. 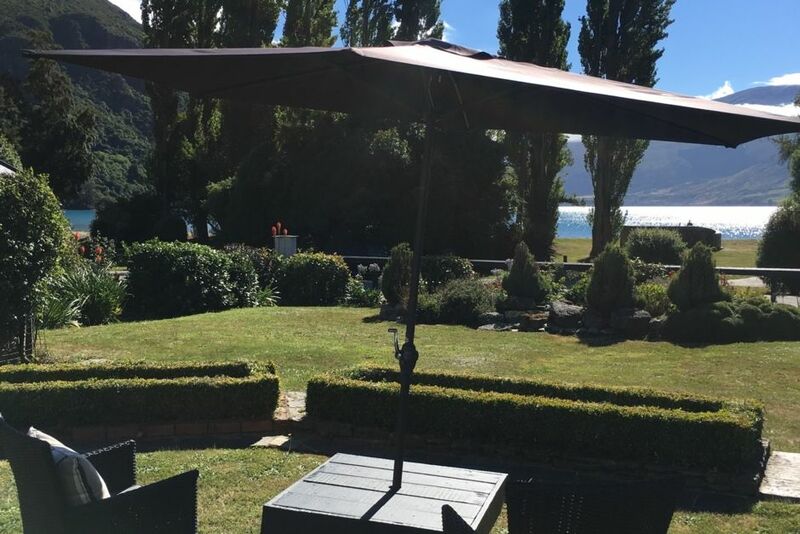 A lovely and clean place, at a quiet location, right at the lake and not far from Queenstown. Thanks for letting us stay here. Gorgeous spot perfect for RNR, and a recharge would definately visit again, very sad this spot is going to the rental market, would love to book for same time next year.